Another month, another awesome DFW HubSpot User Group (HUG) event! This month’s event was all about marketing data—specifically, how to optimize and use metrics to diagnose what’s really going on in your marketing. As a digital marketer almost everything you do is tied back to your business’s KPIs, but it’s easy to get caught up in “vanity metrics” that often don’t tell the full story. Here's a quick recap of this month's presentation. Data vs Analytics: What’s the Difference? Data refers to individual data points, aka marketing metrics. Analytics puts those data points into context to showcase how marketing efforts are (or are not) meeting objectives. Effective marketing analytics tools gather data from all sources and channels and combine them into a single view. But how do we know what data to be looking at and what should we be looking for? Ask: What Problem Are You Trying to Solve? To measure what matters you first have to figure out what problem you’re trying to solve. So, start with the end in mind. What are your business goals? Are your marketing goals aligned with them? What campaigns or tactics will be needed to achieve the marketing goals? Does any of this sound familiar? Low website visits. No blog or little to no blogging activity. Little to no social media presence. Poor SEO performance across keywords and backlinks. The top of your funnel is weak. You need to get found online and focus on building your brand with strategies like blogging, on-page SEO and pillar pages, email, social media and paid advertising. Then use the following KPIs to measure for success. Having any of these headaches? Low conversion rates across your website. Only one form, and it’s on your contact us page. High bounce rates. A website that isn’t mobile friendly. Campaigns are a set of deliverables tied together with a theme that support a marketing goal. The elements of a campaign can be your landing pages, thank you pages, emails, blog posts or even CTAs. In a campaign, all of these elements should work together toward common conversion goals. Rather than measuring the success of these elements individually, campaign performance should be looked at as a whole. HubSpot’s Campaigns tool allows you to do exactly this across everything you create to support your campaign efforts. Metrics include data points like sessions, contacts, influenced contacts, and even closed deals that resulted directly from your campaign. Automate as much as possible! If you missed this month’s event, April’s is just around the corner! Join us on April 23 for another happy hour. This month we’re bringing in Senior HubSpot Academy professor Kevin Dunn to talk all things video! Seating will be limited at this session, so be sure to RSVP soon. If you’re not yet a member of the DFW HUG, it’s free to join and all of our events are free to attend. 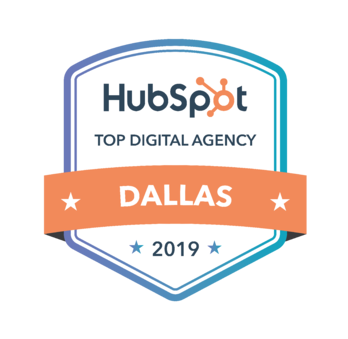 Last week Idea Grove was named one of HubSpot’s top digital agencies in Dallas. As a certified Platinum HubSpot partner, we are so excited to receive this distinction and to continue helping our clients get the most out of their HubSpot tools.